I don’t know that my loyal readers know about the iReb tool which removes any error regarding iTunes but if you guys doesn't know then today I help you on that because today day is belong to tip day. Now we begin article. 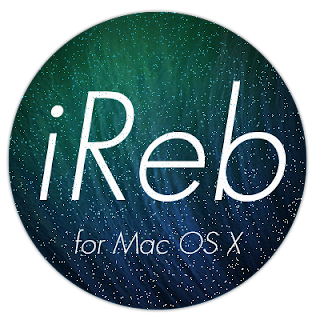 Almost various developer users know that iReb is a very useful and helpful tool for solving iTunes errors and it can make your precious device into a PWNED DFU mode without any problems. 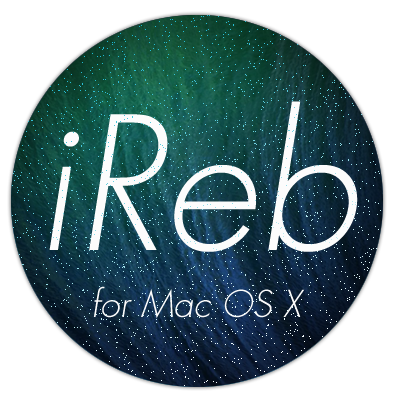 Before today, iReb can only used on great windows platforms but now the developer iH8sn0w eventually launch iReb for Mac OS X 10.4+. 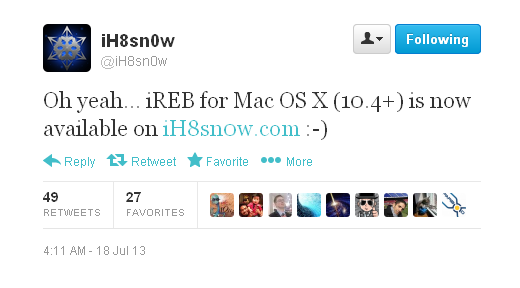 This mean now everyone can also solve iTunes errors with iReb on Mac while fixing or placing an iOS 6.x firmware. As you see the above error may be also took place while you maintain the old base-band or fixing to a custom firmware. In other mean, if you try to update or fix your device to custom firmware in iTunes using shift key or option button, only with iReb you can do it without this you can get issues. And from now you can do it on Mac also which is more entertaining because it’s Mac or a Windows platform. Now you can also download iReb from our platform. I hope you guys love this. iH8sn0w also tweeted about this tool. I hope you read this and get some knowledge about this tool.